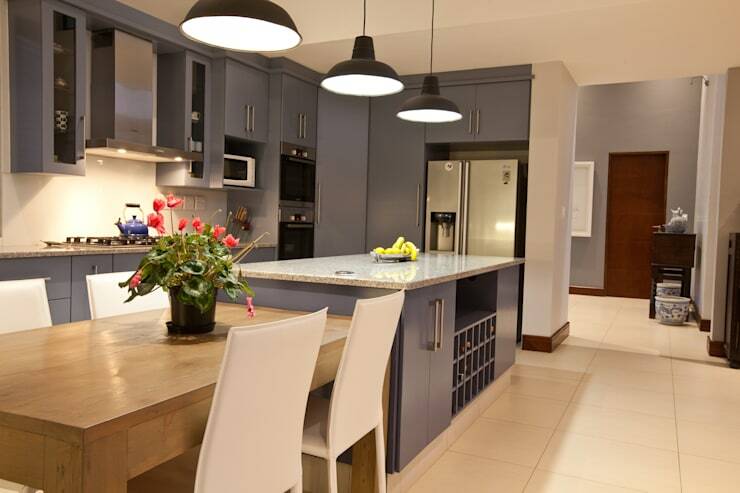 A kitchen traditionally is just storage and cooking space, but wouldn't it be ideal to expand your kitchen to make use of all the floor space adequately? By including a kitchen island into your space, you can decorate the layout with a seating area in mind and even incorporate some rustic elements and sensational materials for a sleek and sophisticated design. 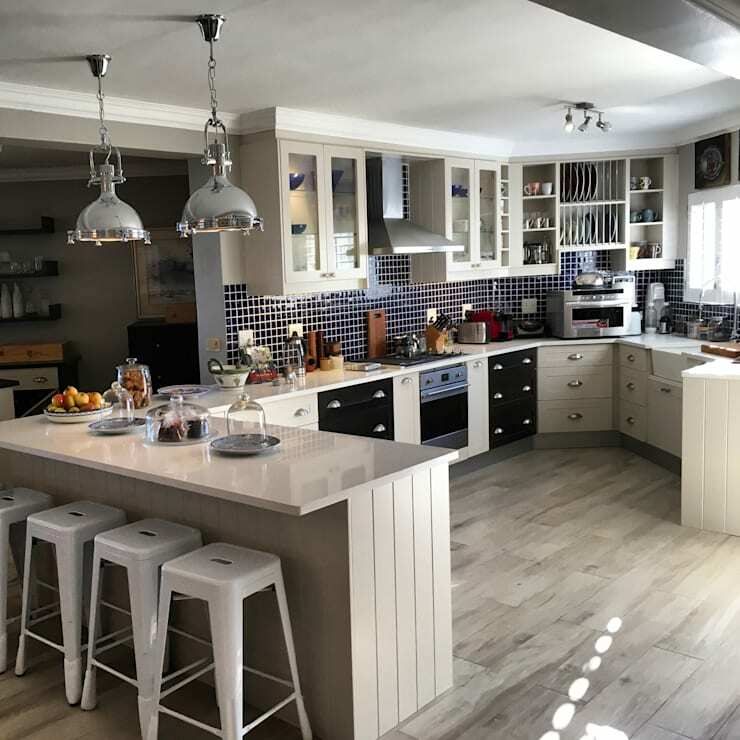 The 11 South African kitchens in this homify feature are sure to inspire you and we cannot wait to explore these homes further. 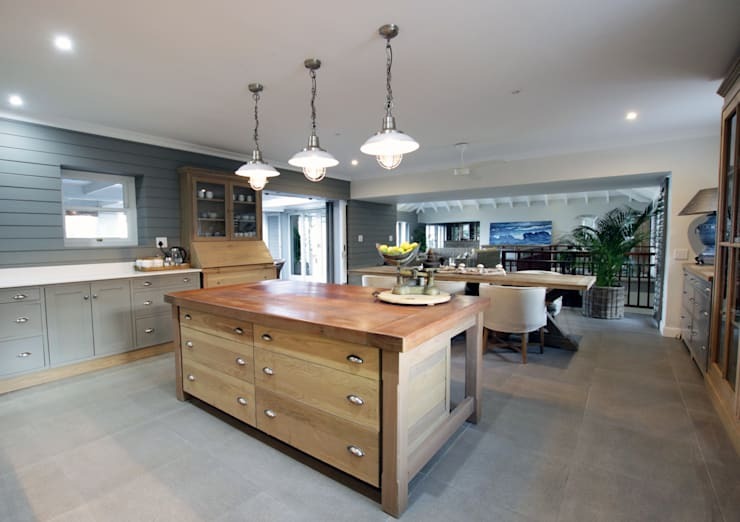 A solid wooden kitchen island makes for a durable storage option in a rustic inspired open-plan home. So if it's a touch of old fashioned design, then this decor style is a fitting choice. 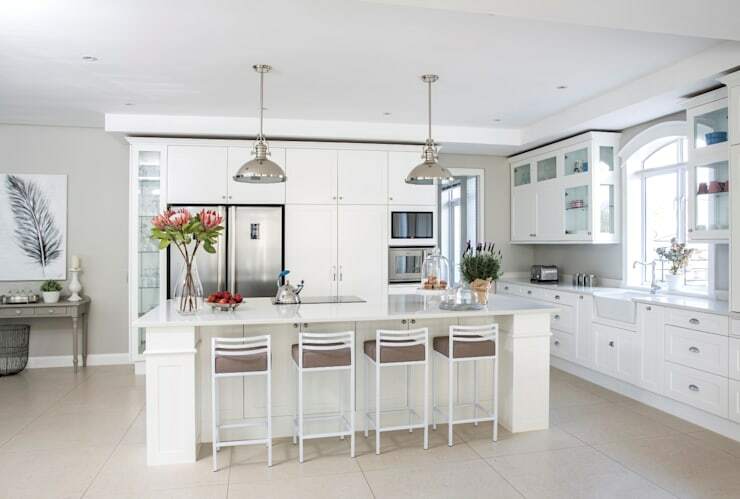 An all-white kitchen is the epitome of modernity, so how about including some stunning lamps and elegant seating to make it comfier and cosier. A rich natural wooden cabinet design with all-white counters is a timeless choice. 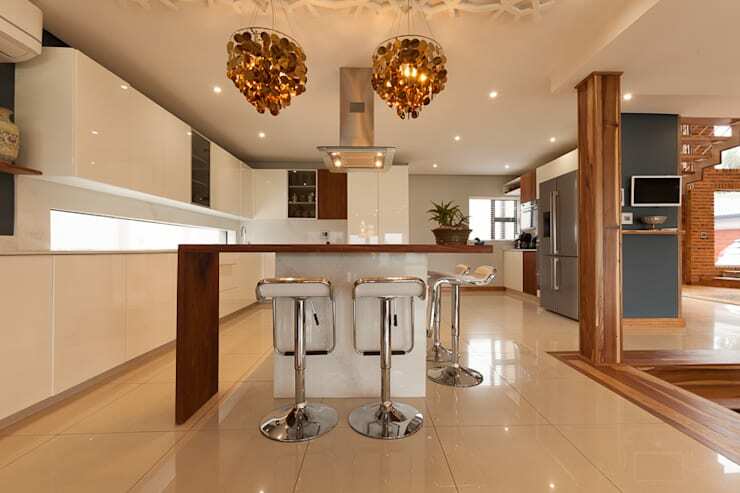 Go for the simplest wooden counter for a contemporary kitchen with a luxurious flair. This kitchen is a mix of shabby chic features and perfect use of space, while the durable counter makes a statement in the design too. The wooden counter and simple seating along with the darker hue of the cabinets is a great way to enhance a modern kitchen design. 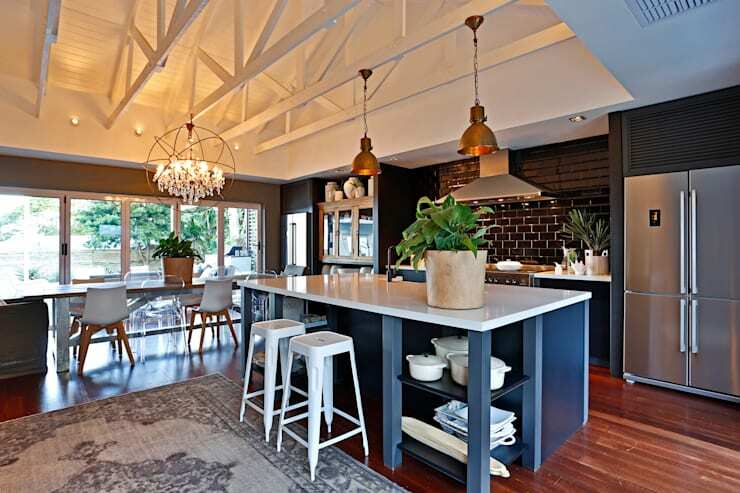 Add some stylish hanging lamps and light of your kitchen dramatically too. 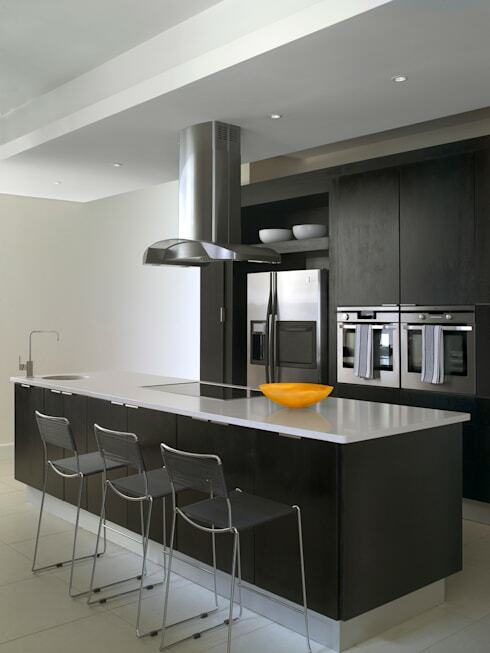 A black kitchen may not be the perfect choice for many homemakers, but if you fancy yourself and the serious and sophisticated type, then this the ideal option for you. 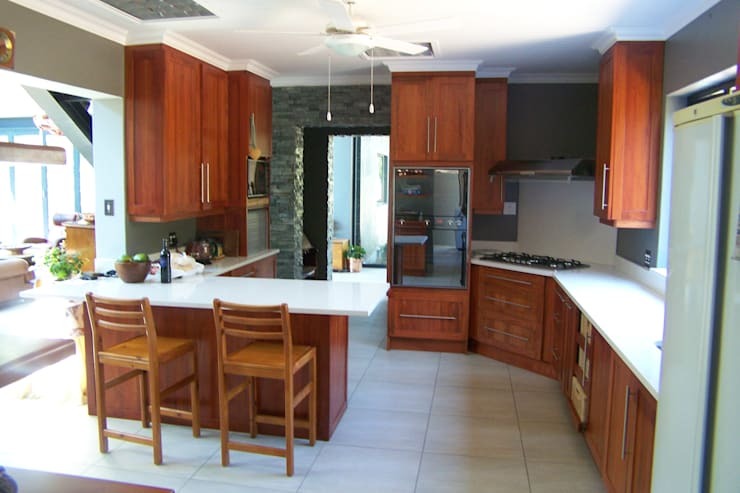 Blue cabinets with a stunning kitchen island and dining area makes this kitchen a different and dynamic option. 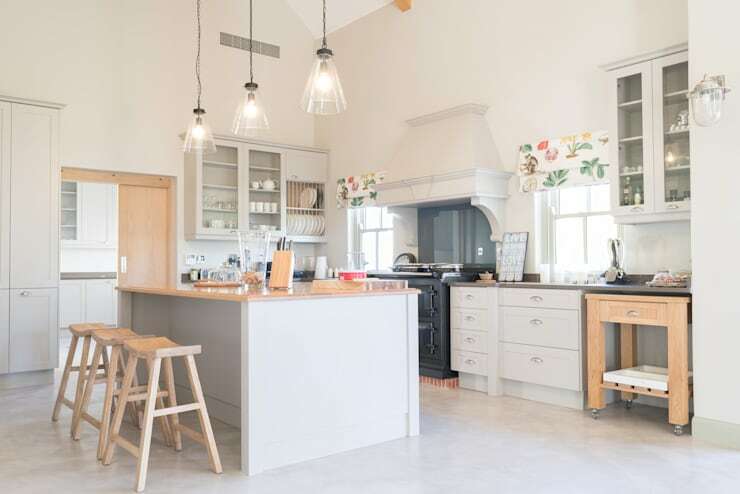 A large family needs plenty of space to cook and eat and this kitchen design does just that. 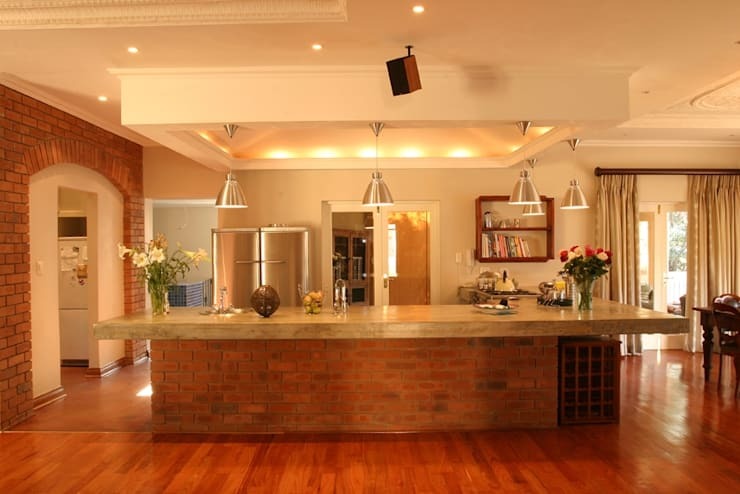 There's nothing sturdier than a brick centre island. 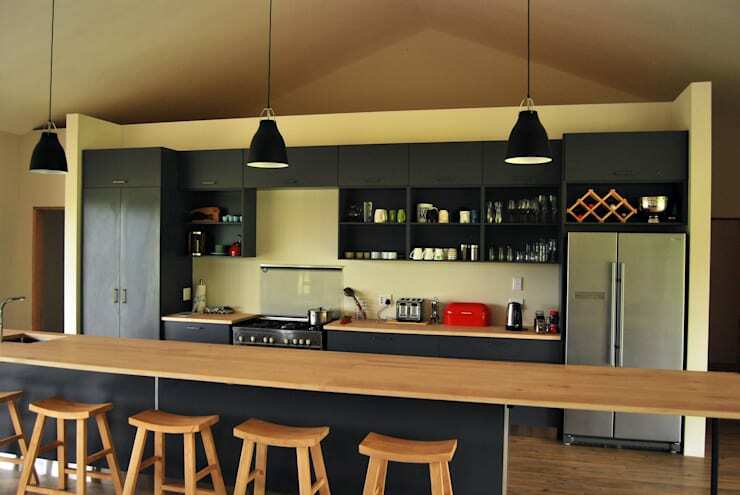 Which of these islands are perfect for your kitchen?